You've got to check out American Ninja Warrior Junior's American Ninja Warrior Junior Party event on Ripple Street! The next generation of American Ninja Warrior begins, as some of the show’s biggest fans now get an opportunity to compete for the chance to be named the first American Ninja Warrior Junior for their age group. Get the kids together for a fun and exciting night for a American Ninja Warrior Junior premiere viewing party. They’ll get the chance to watch some amazing 9-14 years old in the U.S. square off until only one is left standing in each age group. 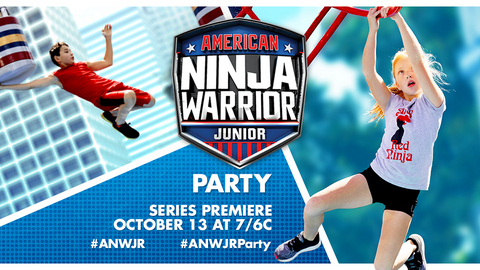 Watch American Ninja Warrior Junior every Saturday starting October 13th at 7/6c, only on Universal Kids.